So here's the thing....I have NEVER purchased a Nails Inc Nail Polish before. Some people will be surprised by this, especially since I have over forty nail polishes in my entire collection. It seems hard to believe that I've never been tempted by anything from Nails Inc, but it's the truth. I think it's because I didn't used to particularly like their old packaging (because I'm one of those people who needs my products to be aesthetically pleasing!) and I was always more drawn towards Chanel (before I realised how 'not so good' their formulation was) and of course, good old Essie, whom I remain loyal to over the years! 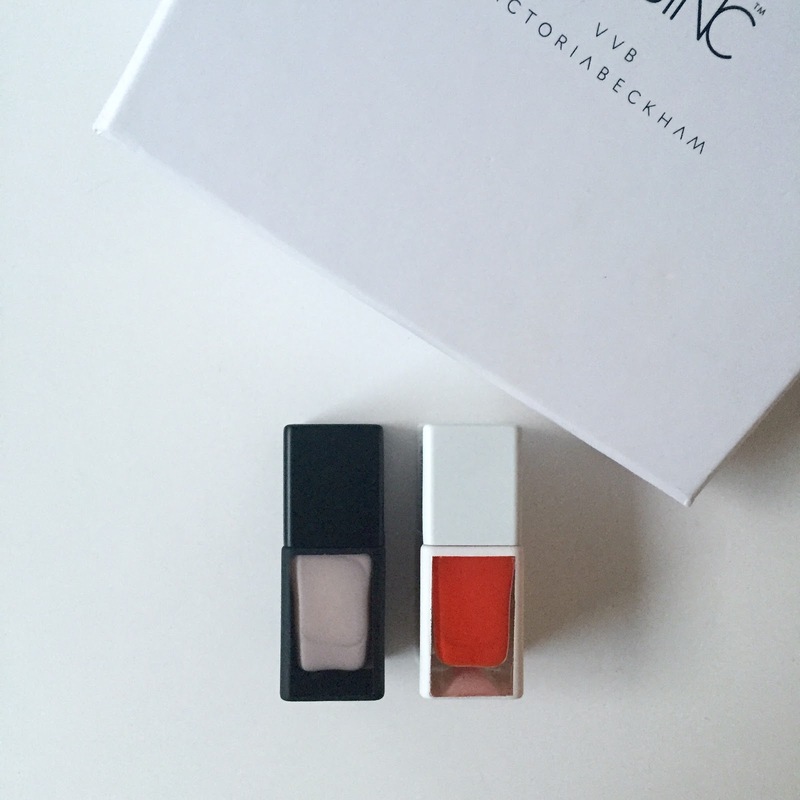 I spotted this limited edition VVB (Victoria, Victoria Beckham) Nails Inc set some time ago and got totally sucked in by the packaging initially. Monochrome...need I say more?! Surprisingly though, the contents are a different story, two gorgeous shades and actually a lot better than I was expecting! More about that in a bit. 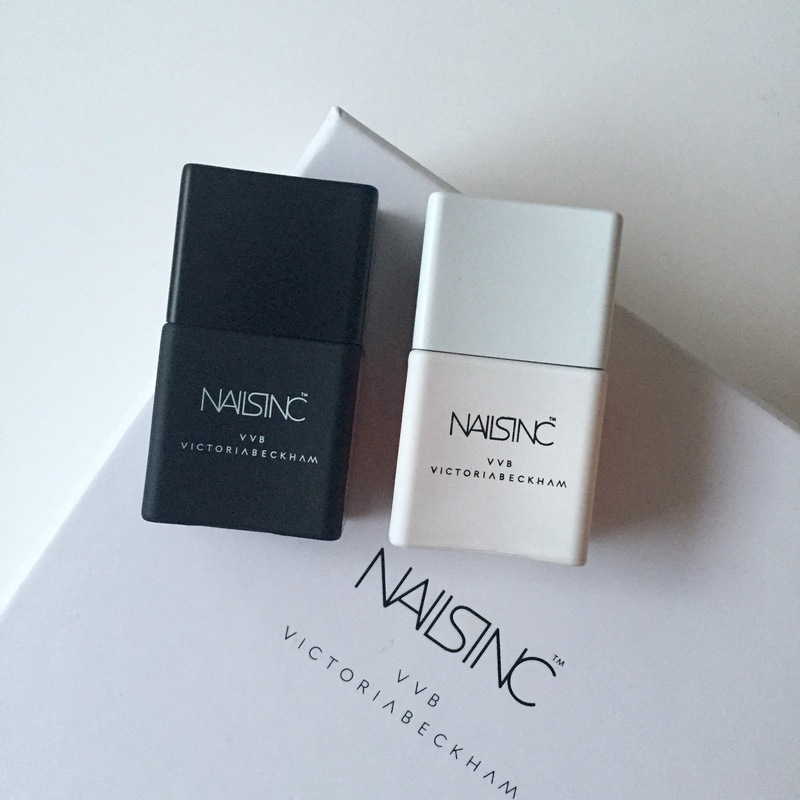 In addition to being drawn in by the gorgeous packaging I admit I was also gravitating towards this little set because it was a collaboration with Mrs Beckham, I have a lotta love for that woman! However, the £45 price tag for two poxy nail polishes did put me off initially and I decided not to purchase for a bit. Firstly, let's discuss the packaging. Sleek, sophisticated and the bottles themselves are thick, chunky, heavy and feel expensive. They are made of glass apparently....Venetian glass! and each bottle is hand frosted. Well well well! 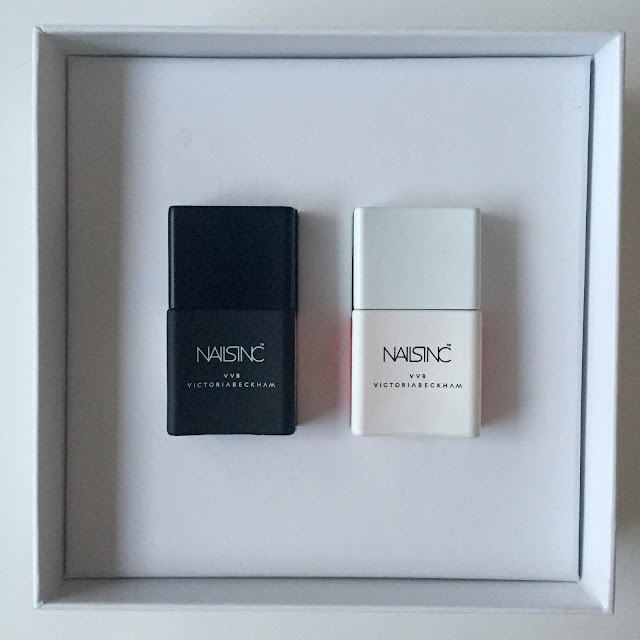 The formulation of the nail polishes themselves are absolutely fantastic and apply like a dream. The brush splays in just the right amount so it makes coating your nail easy-peasy, even for the super shaky handed (like me!) You do need two coats but that is enough. Apparently it created with 'stretch to fit technology' which helps them glide onto the nail. I'm all up for that shiz! It also has 'bamboo extract' in it for healthy nails, although how much good that actually does I'm not really sure! So colourwise these are a winner for me for a mani / pedi combo. The red is a gorgeous Tomato colour called 'Judo Red' and it looks fab painted on the toes and paired with white. 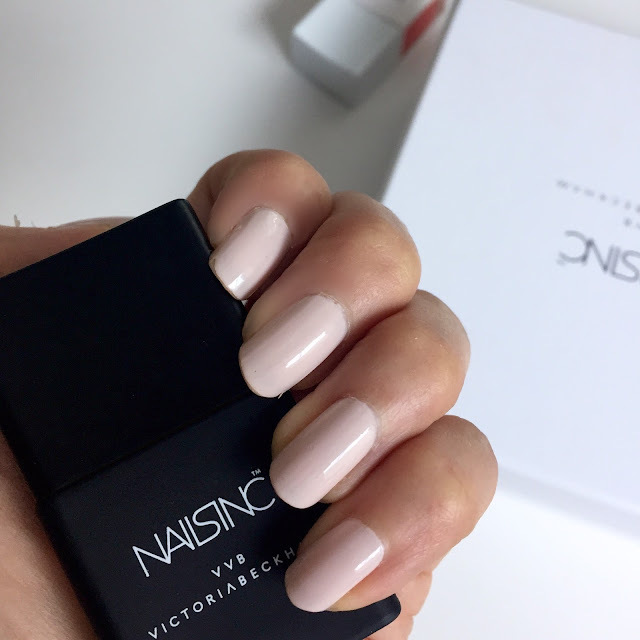 My favourite of the two has to be the one that I thought was going to be 'off white' but is actually more of a pinky white, reminiscent of Essie Fiji but a million times easier to apply and gives a slightly better colour I feel. It's called 'Bamboo White' and I love it, a lot! So in conclusion, I am very very pleased with these nail polishes, they by far superseded my expectations and now I'm keen to try more Nails Inc!